Gamers and makers patiently waiting for the Raspberry Pi Pimoroni Picade Arcade Cabinet Kit to be made available stateside, will be pleased to know that it is now available from the Adafruit online store together with the Pimoroni Picade Console Controller ref: PIM106 and the Pimoroni Picade Controller PCB ref: PIM110. 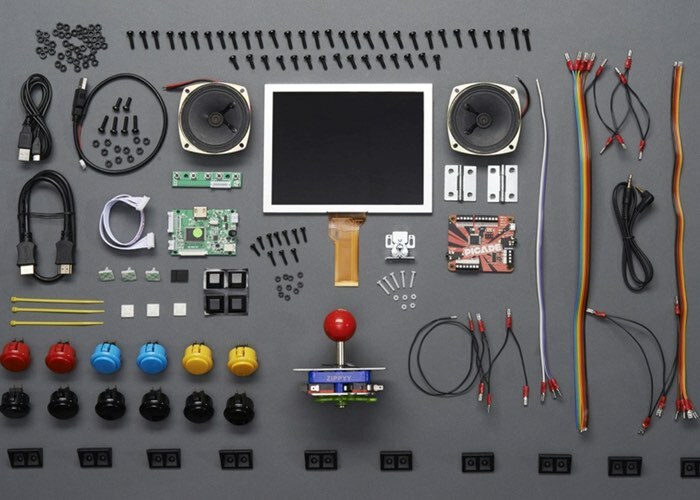 The Pimoroni Picade Arcade Cabinet Kit is priced at $240 then provides everything you need apart from the Raspberry Pi mini PC to create your very own retro desktop arcade gaming system. 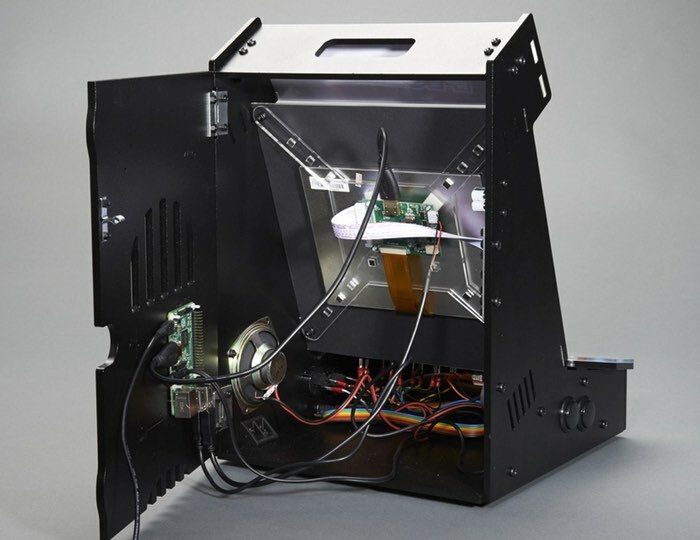 The Pimoroni Picade Cabinet is a stylish, retro, and fun arcade cabinet for your Raspberry Pi! The Picade Cabinet comes in kit form for you to build at home. All parts, panels, and components are included – you just need to supply the Raspberry Pi and power adapter. We highly recommend using a Raspberry Pi 2 as the extra processing power gives great performance in many emulators. 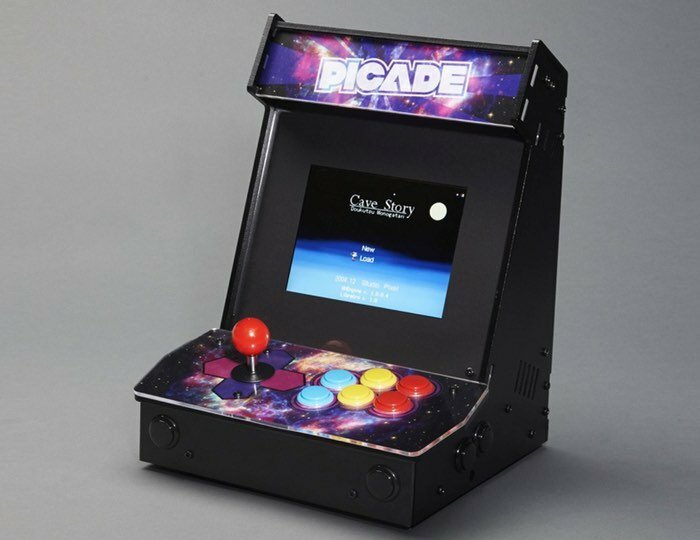 This is the desktop arcade cabinet version of the Pimoroni Picade. We also carry a console controller version which doesn’t have a screen or cabinet and just the Picade PCB on it’s own. The panels are powder-coated in black so the end result feels like a finished, quality product. The chassis makes a great sounding-board for the included speakers, you can’t fake that retro sound. Total build time is around one to two hours and full instructions are available online. The only tools you’ll need are a cross-head (Phillips/pozi) screwdriver and a small flat-head for the Picade PCB screw terminals. Please note: Raspberry Pi is not included. Picade is compatible with Raspberry 2, B+, and A+ – we recommend Raspberry Pi 2 since it’s a lot more powerful! You’ll also need a good 2A power supply. For more information on the new Pimoroni Picade Arcade Cabinet Kit jump over to the Adafruit website for details and to purchase.